Many people love the beach. 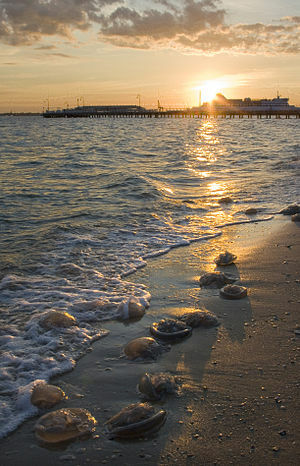 You might be planning a trip for your local beach, the Atlantic, Pacific Coast, or the Gulf Coast. Maybe somewhere tropical or beyond. We love the beach like most people. Once, our family was at a beach, enjoying the sunshine. Our toddler played innocently in the water while we soaked in the sun. Suddenly, a crisis hit. No, not a shark. Jellyfish. He was stung multiple times. We knew nothing of the danger he was in, but a nurse nearby thankfully did. She kept us all calm while removing the stingers, then proceeded with the proper treatment. He was perfectly fine, and ready to go in a few hours. 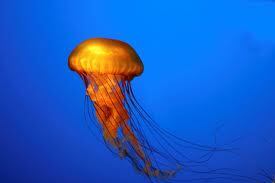 April is when Jellyfish first begin showing up in waters, & are found in every ocean. Thankfully, not all species are toxic as we found. They did, however, inspire our latest drink. The Martini Maidens were up one night creating another drink. This drink does not sting, and it sure isn’t toxic! However, when we finished with it, we looked at it and remarked that it looked just like a jellyfish in a martini glass. Hence, the Jellyfish Martini! We heard such comments from some of our taste-testers as ‘Every sip is different!’, ‘You could marinate something in that drink!’, and many more comments. ‘Wow!’ came back a lot. We’ll take that as a compliment! Pour these into the bottom of your martini glass. 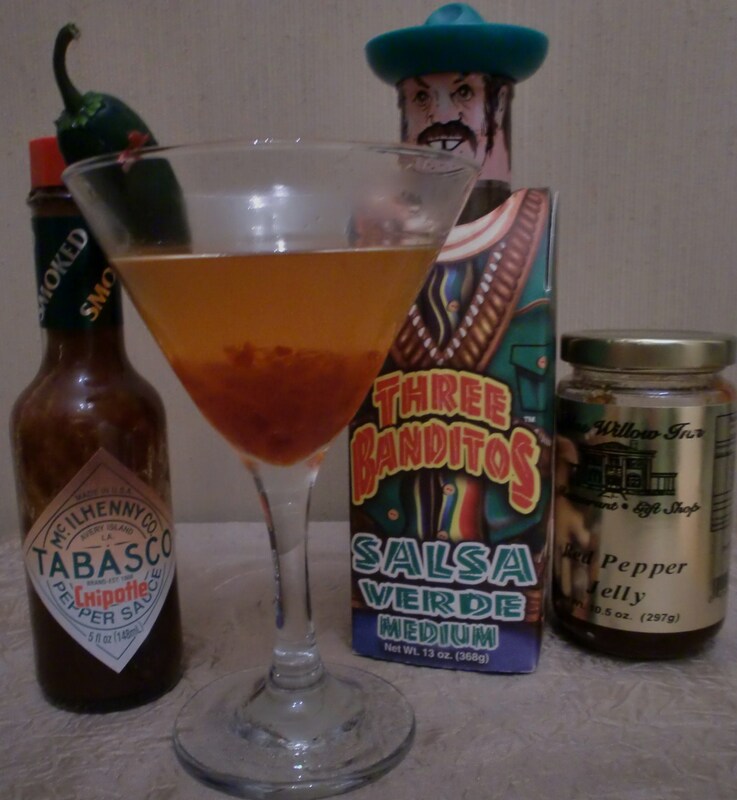 Shake together and pour on top of the jelly/Tabasco mixture. You can garnish with a jalapeno pepper or cube of cream cheese. Serve an abundance of chips and salsa or guacamole as a side dish, combined with great company, and you have taken the sting out of any rough day. Enjoy!